A look back at the history of HTTP, what it is, where things stand today, and how we got to this point. 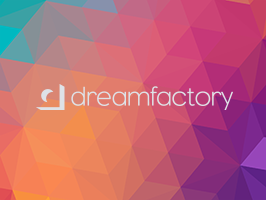 DreamFactory connects to any database and yields a robust API platform. In this custom scripting example, medical information from a MySQL database is integrated with a medication tracker built on MongoDB. In short, PayPal moved to an actor-based model built on Akka. Runs a single-node Kubernetes cluster inside a local VM for users looking to try out Kubernetes or develop with it day-to-day. A curated set of pragmatic practices for building a microservice architecture that fits well with modern web and cloud technologies. Healthline is the 2nd largest and fastest growing health site. We are building a high quality team, will be very competitive and have great benefits. Come help us build a modern stack to grow on. We will relocate. Squarespace is a popular Web-based site building and hosting platform but now developers can work on templates locally. Not very deep, but 55% use AWS and CloudFront is the most popular CDN. How various AWS services have been used to host a ‘fantasy movie league’ site. Can be used from numerous languages.